While Marvel Comics is consistently hitting home runs with their film adaptations of their classic superhero characters, DC Comics is a hit or miss proposition. We’ve gotten used to Marvel superhero movies being nothing short of epic but DC superhero movies are something of a crapshoot. I think it’s safe to say that their misses outweigh their hits by a significant margin. My solution for this is simple: let the talents who produce the DC Animated Films take over doing the live-action movies. I do not joke. The talents doing the animated movies have proven over more than two decades now that they’re more in touch with who these characters are and how to tell their stories. 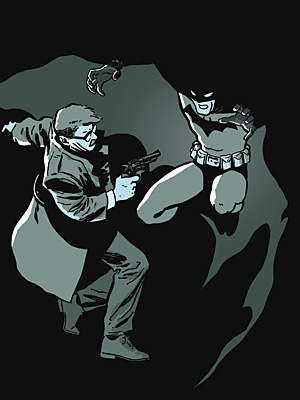 Let’s take BATMAN: YEAR ONE for instance. The producers and writer of the movie, realizing that the story they had to work with was so strong and so cinematic that they wisely decided there was no need to muck around with it. So what you’re getting is an amazingly literal translation of the graphic novel to animation. And it works very well. Bruce Wayne (Benjamin McKenzie) returns to Gotham City after twelve years abroad. In that time he’s learned a staggering array of skills ranging from martial arts to spiritual disciplines to science in a dozen different disciplines. The pain of his parents being murdered right in front of him has not gone away. But Bruce has no idea how to direct that anger or satisfy his thirst for vengeance. His first attempt at cleaning up the streets of Gotham is a disaster, leaving him bleeding to death in Wayne Manor. In delirious despair, he prays to a marble bust of his father for a sign that he should continue his war on crime. And he gets it. Lt. James Gordon (Bryan Cranston) has transferred from Chicago’s police department to Gotham with his pregnant wife Barbara (Grey DeLisle) to start a new life and new career. After having testified against crooked cops in Chicago, it was impossible for Gordon to continue on there but he is appalled and astounded to find that the corruption in Gotham is far worse. He’s partnered with Detective Flass (Fred Tastasciore) who makes no secret of his taking bribes from drug dealers and Gordon quickly realizes that even Police Commissioner Loeb (Jon Polito) is in on the graft. Gordon struggles to look the other way but as events unfold, Gotham’s underworld is being terrorized by a dark and terrifying vigilante the media quickly names ‘The Batman’. Gotham’s police and criminal element unite to kill The Batman and Gordon realizes that he must make a decision as to how he’s going to live his life in Gotham City and what kind of cop he’s going to be. Sounds like heavy stuff for what a lot of folks would term ‘a cartoon’, right? Well, yeah, it is. And I think that’s why I enjoyed BATMAN: YEAR ONE so much. I got the definite impression that the producers didn’t approach this as an ‘animated movie’ but simply as a ‘movie’ and it shows. There’s a wealth of emotional, moral and psychological complexity that you don’t find in a lot of live-action superhero movies. The voice work is very good. I like Bryan Cranston a lot as he’s a versatile actor which you know if you’ve seen him in “Malcolm In The Middle” and “Breaking Bad” and he does a good James Gordon. Benjamin McKenzie isn’t bad at all. In fact, he’s good but it’s just that I’ve been so spoiled by Kevin Conroy that I can’t help but feel disappointed when he’s not voicing Batman/Bruce Wayne. Eliza Dushku, Katee Sackhoff, Alex Rocco and Jon Polito are all standouts as well. So should you see BATMAN: YEAR ONE? If you’re a Batman fan, you probably already have. As my good friend Chris Munn pointed out to me, there are no surprises in this movie if you’ve read the graphic novel as it sticks to the story beat for beat. But in this instance I don’t mind because this story of how Bruce Wayne and Jim Gordon deal with their first year of living in Gotham City and how they begin their respective careers didn’t need to be changed a bit. 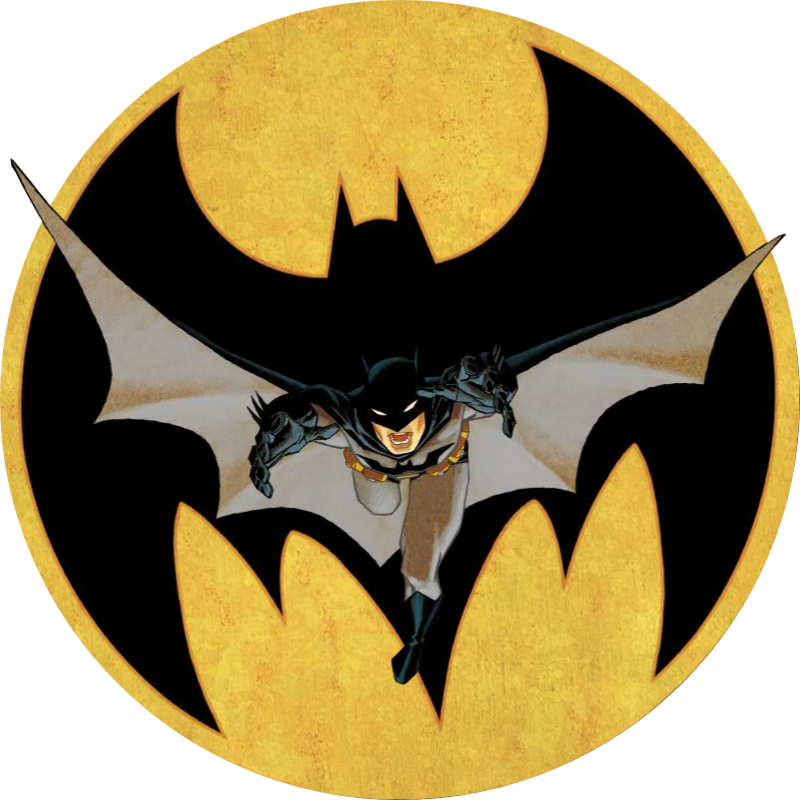 Now if you haven’t seen BATMAN: YEAR ONE and want to, let me give you word of warning: this isn’t Batman for the kiddies. Stick with the 1966 “Batman” starring Adam West and Burt Ward for them. This is a dark and mature story that explores adult subject matter. But by all means, if you’re a Batman fan and haven’t seen it yet, by all means, check it out. Not to mention the fact that there is no need for new story boards since the comic themselves provides this. Miller proved this with Sin City and should have been a lesson for the studios.